Washington Church Insurance. Insurance for churches include specific types of coverage for each particular type of church. Chapel insurance, cathedral insurance, synagogue insurance, and temple insurance are common and usually included in a wider umbrella of a specific church policy. 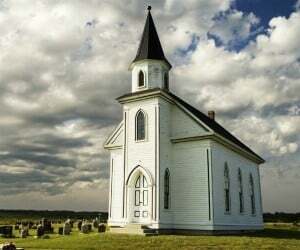 Since church insurance is a specialty insurance type, not many companies offer this coverage. Companies that insure churches offer both liability and property coverage with specific options that are tailored to the individual church's needs. Churches require unique coverage to protect them from liability in their particular areas of vulnerability. While some policies may include liability and property coverage as part of a standard umbrella, others may require that a church purchase separate endorsements for their Washington church insurance policies to really protect them from a 360-degree viewpoint. Washington church insurance protects your ministry from legal liability with rates as low as $67/mo. Get a fast quote and protect your congregation now. All of these Washington church insurance policy types can help ensure that the church does not suffer financial hardship if a claim is brought against it. 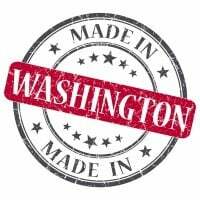 These policies are different from usually business insurance policies and often must go beyond standard Washington church insurance coverage to pay claims for loss of tapestries, stained-glass windows, special audio equipment, and more. These coverage types can provide the church compensation if it experiences loss due to theft, vandalism, falling objects, fire, and weather. Flood insurance may need to be purchased separately, especially if your church is located in a flood zone. Work with a seasoned insurance agent to determine which types of Washington church insurance your church needs and which endorsements or riders make sense for the church's unique needs. Request a free Washington Church insurance quote in Aberdeen, Anacortes, Arlington, Auburn, Bainbridge Island, Battle Ground, Bellevue, Bellingham, Bonney Lake, Bothell, Bremerton, Burien, Burlington, Camas, Centralia, Chehalis, Cheney, Clarkston, College Place, Covington, Des Moines, DuPont, East Wenatchee, Edgewood, Edmonds, Ellensburg, Enumclaw, Ephrata, Everett, Federal Way, Ferndale, Fife, Gig Harbor, Grandview, Hoquiam, Issaquah, Kelso, Kenmore, Kennewick, Kent, Kirkland, Lacey, Lake Forest Park, Lake Stevens, Lakewood, Liberty Lake, Longview, Lynden, Lynnwood, Maple Valley, Marysville, Mercer Island, Mill Creek, Monroe, Moses Lake, Mount Vernon, Mountlake Terrace, Mukilteo, Newcastle, Oak Harbor, Olympia, Othello, Pasco, Port Angeles, Port Orchard, Port Townsend, Poulsbo, Pullman, Puyallup, Redmond, Renton, Richland, Sammamish, SeaTac, Seattle, Sedro-Woolley, Selah, Shelton, Shoreline, Snohomish, Snoqualmie, Spokane Valley, Spokane, Sumner, Sunnyside, Tacoma, Toppenish, Tukwila, Tumwater, University Place, Vancouver, Walla Walla, Washougal, Wenatchee, West Richland, Woodinville, Yakima and all other cities in WA - The Evergreen State.